Download this TalkingPointz 2Pager for more information on how Microsoft will directly offering PSTN services with its Skype for Business Online offer in Office 365. As Microsoft continues its journey to the cloud, it’s expanding its Office 365 option with direct PSTN services. The concept of PSTN and Office 365 isn’t particularly new – what’s new is Microsoft directly offering the service which should (at least in theory) simplify the offering. That’s not to say it’s going to be simple. The move marks an addition to the menu of both UCaaS as a whole and PSTN with hosted Skype for Business. There’s lots of ways to get PSTN with Office 365, and comparing the choices both financially and technically will not be a trivial undertaking. This free TalkingPointz 2Pager does not include pricing or features as those have not been announced yet. It provides an outline of what Microsoft is offering and how it’s different. “Cloud PBX” is an odd term from Microsoft. The PBX moniker is odd from Microsoft because for the past decade Microsoft has been preaching ‘the PBX is Dead.’ Furthermore, the feature does not include PSTN. It is meant to describe cloud-based call control that can utilize PSTN services that are either premises-based or O365 provided. The premises-based solution involves a new type of server pool that Microsoft is architecting. This is conceptually similar to the AudioCodes OneBox appliance. If you think expensive when you hear “server pool” you are probably right – this is a mission critical piece to the hybrid puzzle that isn’t trivial, however, Microsoft intends to simplify these premises-based component of its hybrid architecture over time. I expect the hybrid model will be more popular than the pure cloud model – at least initially. That’s because of the feature disparity between Microsoft hosted and premises-based Skype4B deployments. This disparity will shrink and likely disappear over the next year or so. For users that a pure cloud UCaaS service from Microsoft, they will need to subscribe to the E5 plan and then add-on the PSTN Option. Prices of these services are not yet known. What’s really new here is that Microsoft is providing the carrier/PSTN services. 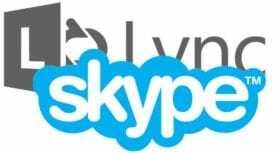 PSTN and Lync Online have been available via partners in the past and will likely remain so. There’s also lots UCaaS providers that are offering an integration with O365. Just click the Free Purchase Button above. TalkingPointz 2Pagers are freemium research – download it, read it, share it. Please consider TalkingPointz if you need advice regarding enterprise communications. We’ve got 2072 posts worth of info, 62 reports, plus interviews and podcasts galore. What can we help you find? and get all Extended 2Pagers free with your membership.